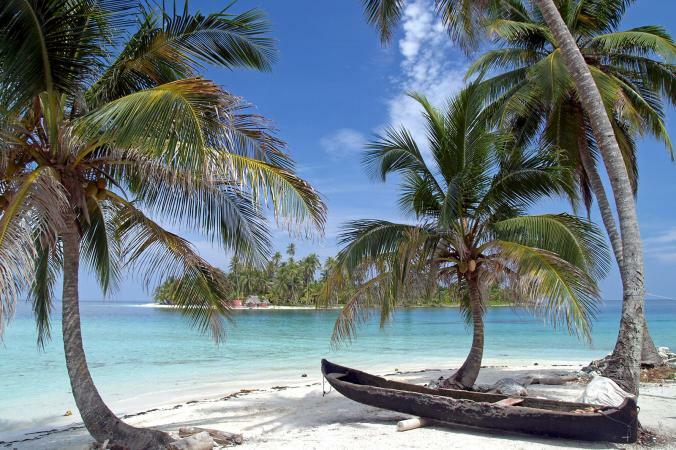 Palm trees are among the most exotic and recognizable foliage on the planet. While they may be known as the "Princes of the Vegetable Kingdom," most people associate Palms with the sun, sand and surf. Fortunately, you are not relegated to decorating your home with the blow-up versions. With a little know-how you too can transform your backyard into a luxurious Palm tree-lined oasis. Leaves: The leaves of the Palm are very large and are known as fronds. They are divided into two major groups: fan-shaped and feather-shaped. The former, also known as palmate, are characterized by large segments that spread out like fingers on a human hand. Meanwhile, the feather-shaped or pinnate variety, are characterized by leaves that sprout out along each side of a central axis and look like unruly tufts of hair. Trunk: Most Palms feature tall, cylindrical trunks that look very similar to a columns or pillars. In some types, the trunk includes hooked prickles, while others boast smooth trunks with very few markings. Flowers: Palm tree flowers are small and insignificant. They range in color from yellowish-green to light green and typically feature six stamens, though some Palm tree types have blossoms with twice as many of the stick-like offshoots. 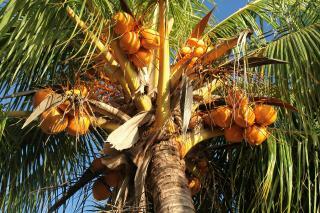 Fruit: Palm fruits vary in size, color and character; however, the most recognizable is the coconut. The hard, brown fruit has a brown shell and an edible white interior. 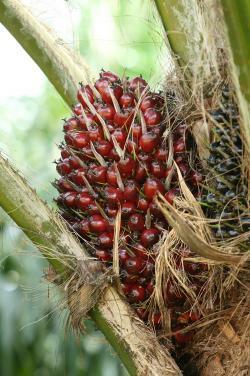 Other Palms produce a berry-like fruit with a fleshy rind that covers a hard kernel. 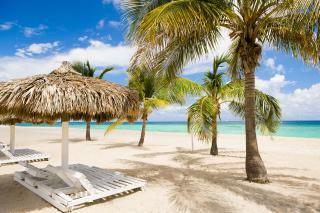 Palm trees are often associated with fun in the sun and other memorable moments spent in tropical locales. Not surprisingly, many homeowners enthusiastically plant Palms near their patios and pools to recreate those fond memories. 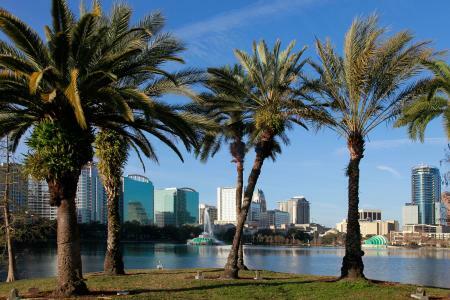 However, before you start adding Palms to your property, it's a good idea to select a type that will prosper in your particular neck of the woods. Coconut Palm: Known for its versatile fruit, this Palm will keep producing coconuts until it reaches its 80th growing season. Another distinguishable trait is its massive height. 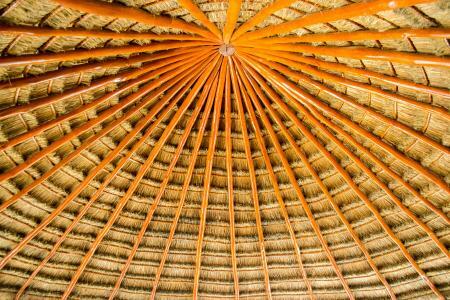 Coconut Palms can grow up to 100 feet tall and feature a canopy of fronds that spread nearly 30 feet wide. 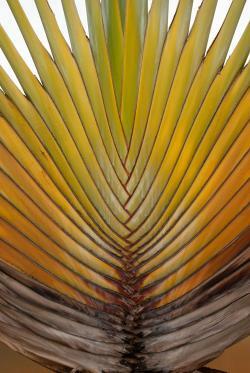 Needle Palm: This pokey Palm is native to the southeastern region of the United States. Its needle-like spines are similar to those found on a porcupine. Another notable characteristic is its small size. The needle Palm's height doesn't exceed 10 feet. Foxtail Palm: The bulk of the foxtail population is centralized in Australia where it is known for its large leaves and small orange-red fruit. The tree grows to about 35 feet and thrives in direct sunlight. Bismarck Palm: The stunning Bismarck captivates with its massive canopy. Native to Madagascar, the Palm got its name from the first chancellor of the German empire, Otto von Bismarck. The tree reaches a maximum height of 60 feet and is very hard to kill because it is tolerant of both extreme heat and cold. Royal Palm: This majestic Palm soars nearly 80 feet into the air and sports a light grey, smooth trunk that is swollen at the base. Its bright green fronds decorate the top of the tree where white flowers blossom seasonally. The royal Palm needs direct sunlight and warm temperatures to prosper. In addition to coconuts, heart of Palm is another edible product of the tree that can be added to salads or stir-fry. 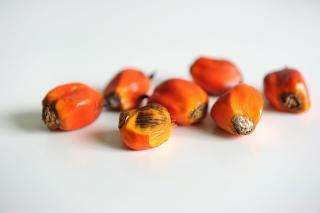 Palm oil can also be extracted from the tree and used for industrial purposes. Palm trees have long secured their place in history, having been mentioned multiple times in both the Bible and the Koran. 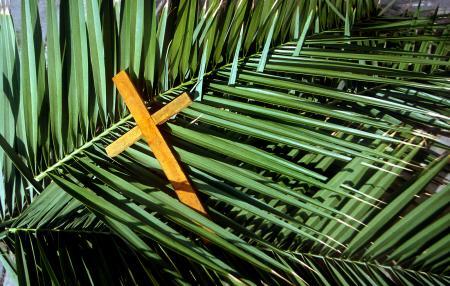 In the Christian faith, Jesus was greeted by a path of fronds as he entered Jerusalem on what is now known as Palm Sunday. 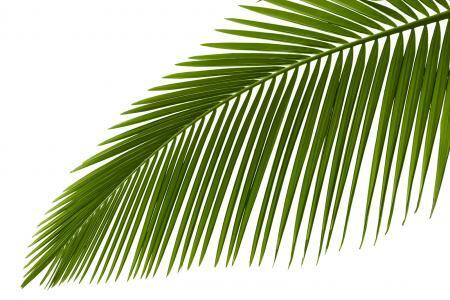 In that instance, the Palm symbolized victory. 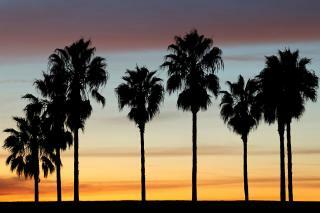 The trunks of Palm trees do not get thicker as they age; rather, they simply grow taller. Some Palms have trunks that are as skinny as pencils. 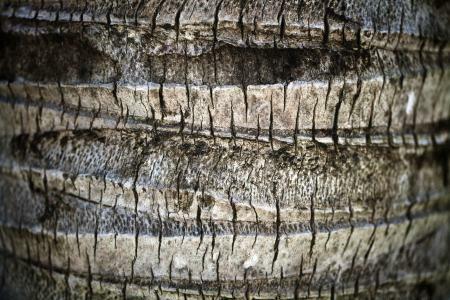 Fossil Palm trees date back 100 million years to the Jurassic Era. 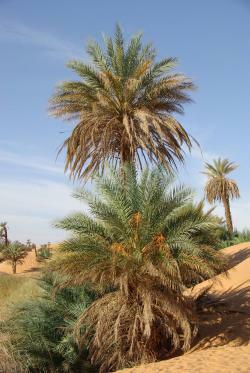 Muslims regard the Date Palm as the "tree of life," since it can be traced back more than 5,000 years. Bud Rot: The disease is caused by a fungus which attacks the fronds of a Palm. Fusarium Wilt: This is another Palm tree fungus which wilts fronds and causes them to lose their green color. Unfortunately, once a tree is infected with this disease, there is no way to cure it. Lethal Yellowing: This disease robs Palms of essential nutrients and can spread rapidly from tree to tree. In addition to the above diseases, Palm trees are a magnet for Palm aphids, spider mites, mealybugs, Palm weevils and caterpillars, which can cause irreparable harm if not addressed. Pruning: Do not over prune a Palm tree. The sturdy tree needs nutrients from older fronds to prosper. Watering: Palm trees thrive in well-drained soil and should be watered on a regular basis. However, you don't want to over water your tree. If you notice the Palm fronds turning yellow or brown, then your tree is getting too much water. 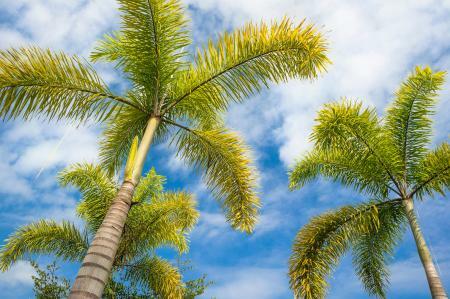 Fertilizing: Do not add fertilizer to the soil when planting a new Palm, as it can damage the tree's roots and burn its trunk. 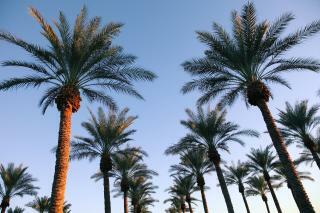 Newly-planted Palms do not need fertilizer for the first three to four months. Environment: Planting a Palm in extremely cold temperatures will be a death sentence for the tree. 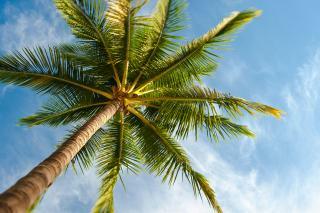 Tropical Palm trees need warm and humid weather to survive. The ancient palm tree has a mystique and exotic appeal to any landscape. It is a highly prized and valuable tree for its aesthetic appeal and practical uses.